The Conquer Series is for any man who's ever struggled. Every man, at some point, will be tempted to sin sexually. The difference between prevailing and failing comes down to having a battle plan in place. 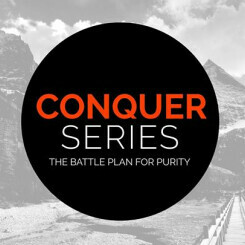 The Conquer Series DVD curriculum is a comprehensive teaching series on purity, training men to fight and win against sexual sin. This intensive discipleship course will take you out of your comfort zone, so expect to be challenged.